The monkey coin bank is another cute attraction in niyog niyogan festival in LucenaCity. I want to buy it but the booth is not open for now because they also prepared for tomorrow for the opening of Niyog niyogan festival. 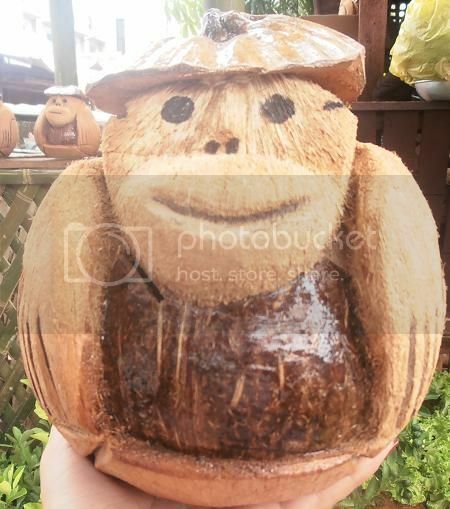 The monkey coin bank is made of coconut.